February 2015 | Blankingship & Christiano, P.C. Like it or not, your credit score is one of the most important things in your life. Unfortunately, it’s easy for a credit report error to destroy the integrity of your credit profile, and ultimately impact the quality of your life. While it’s possible to remove errors from your credit report on your own, the three credit reporting bureaus sometimes drag their feet in fixing errors or fail to make such corrections altogether despite clear evidence supporting claims of fraud or errors. If the following steps fail to correct errors on your credit report, contact a consumer protection law firm in Reston for professional help with your credit report dispute. In order to correct a mistake on your credit report, you first need to know about the error. An amendment to the Fair Credit Reporting Act of 2003 requires each of the nationwide credit reporting agencies to provide you with a free copy of your credit report once every 12 months at your request. Order your report online or by calling 1-877-322-8228. After you obtain your credit report and identify one or more reporting errors, tell the credit reporting company in writing what information on your report is inaccurate. Your letter should clearly identify each item you dispute and request that it be removed or corrected. Credit reporting agencies must investigate the items in questions, usually within 30 days. When the investigation is complete, the credit reporting company must give you the results in writing. 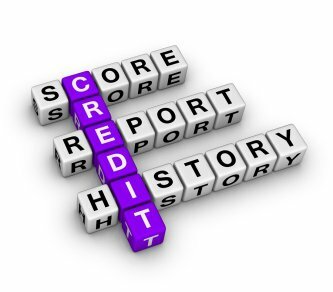 If one or more credit reporting agencies fail to make corrections to your credit report, visit a consumer protection law firm in Leesburg and let an experienced credit lawyer handle your credit report dispute. Sometimes it takes aggressive legal representation to take on the credit reporting bureaus and their powerful attorneys.